Scientists have discovered that female stellar sea lions generally do not stray far from their birthplace when they breed. A recent study published in the PLOS ONE has managed to shed some light on the topic. 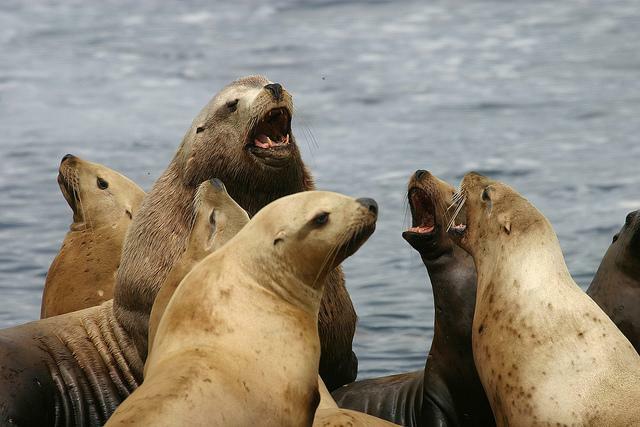 Scientists from the Alaska Department of Fish and Game, USA, tracked 369 female Steller sea lions from the time they were pups to adulthood, from 2001 to 2015. The team discovered that most of them tended to breed at the rookeries where they were born, with less than three percent switching rookeries. In addition, for those that switched rookeries, they tended to move to a place near to where they were born and had a higher population of other sea lions. This discovery may suggest that familiarity with neighbouring females and with the site's topography could be important factors in their reproduction and subsequent conservation. This understanding may aid in conservation efforts for the species.